Summer is upon us! This means more free time with the family, sunny days out by the pool, barbeques with the ones you are closest too, lazy beach days sprawled out in the sun and so much more! What about when you want to do something new? Something you can do with your closest friends or family, that will leave a lasting memory for you to cherish for a lifetime? At Just Cast Charters we are more than a fishing charter company, we are purveyors of fun and excitement! Round up the ones you love and come on down for some summer fishing in Galveston, TX! 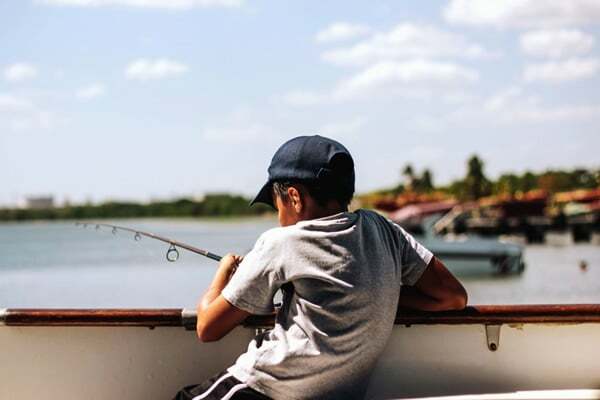 Our fishing charters are open to all ages! We make sure everyone from the tiniest little crew members, to the most seasoned anglers are having a blast and getting the most out of their day out on the water. We provide everything you will need in order to relax and catch some big fish! Maybe it is something you have thought about doing for awhile but just have not made the plunge yet, so give it a try this summer!! Give us a call to find out how we can customize your fishing charter to give you everything you are looking for this summer! We have several different types of trips and can help you make an informative decision on what is best for you, based off what kind of fish you are looking to catch, who you are bringing along with you, what your budget is, and how much time you are wanting to spend out on the water! Do not let the summer pass you by without making any new and exciting memories with the ones you love the most! Book a fishing charter with us today! Whenever you are in the Galveston area and you are looking for the most exciting, all-inclusive fishing charter service, choose Just Cast Charters! We make it easier than ever for you and your friends and family to get out on the water and catch some fish! You show up and “Just Cast!” we do the rest! Contact us today to plan your next adventure!